Aah! Western Classical Music. Such a soothing balm for the soul. When one listens to it, they are swept away to the moors of Scotland or the greens of Austria. But, as we live is major cities and have jobs with high level of stress, it isn’t practically possible to escape these realities. What one can do, is download the below mentioned apps and experience tranquility at the press of a button. Mentioned below are the top 5 classical music apps for iPhone. For truly understanding classical music one needs to know the nuances of the same. What better than an app that is solely focused on educating one on the same. 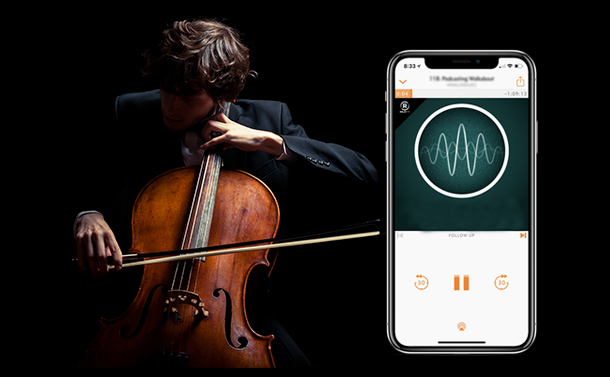 With topics ranging from learning about the scale, chord, melody variations, the tempo, pitch study and melodic dictation etc., this is one of the best app out there for any classical music lover. The perfect application to introduce anyone to western classical music. It is the best collection one can have of the world’s 120 greatest masterpieces ever created. It allows the user to log on to Wikipedia (while listening) to know more about the composer. It even has YouTube with which one can see live performances of the same by huge orchestras. Classical Music Masters Vol. 2 is also available but it has to be loaded separately. Sonata works without WIFI or any data plan. So, when one is on the move, they can easily load this application and relax listening to evergreen classic melodies. An easy to use interface, one can easily sort through their personal favorites. With high quality stereo soundtracks, one can enjoy them with your air pods. As the collection is licensed, the quality of the classical music is transcendent. One thing to remember is that it auto renews subscription on a monthly basis and that feature needs to be turned off at least 24 hrs. before the subscription ends. With Idagio, the user can easily navigate and select classical music based on their preference of orchestra, composer, conductor, work etc. with it one can listen to high quality music without facing a generation loss as far as the quality of the audio is concerned. The addition of Chromecast integration, one can broadcast the music on to their TV screen and enjoy music output from their home theater. The only thing lacking is that there is no album covers due to which there seems to be something lacking visually. For the young beginners and those who are finding their feet in the world of classical music apps, this is the one for you. It is perfect for understanding the different instruments used, provides details on the history of the albums that are featured and even offers interactive session with animated visuals. The dancing animals and sound effects, helps make classical music understanding easier. There you have it folks! The best of the best in the field of western classical music right on your fingertips on your iPhone. Enjoy the music while on the move or when you want to relax. Do share your views with us on the comments section below.